Like it or now within the 20 years with the advances in transportation technology. The movement of masses of people from border to border, nation to nation will most likely eliminate the need for structures that deter the flow or migration of people. It will no longer be possible to secure borders with steel and mortar because steel and mortar have no chance fighting against the advances of a global environment gone absolutely bonkers. Transportation advances aligned with environmental concerns will erase currently constructed borders. You heard of Doctor's Without Borders, well get ready for A World Without Defined Borders. What will the governments of America and other nations of the world do when the polar caps of Antarctica and the North Pole recede due to the current warming that is unfettered currently? The displacement of entire populations of peoples in coastal towns, cities, and even nations will require humanistic cooperative discussions forcing previous warring nations and religious factions to engage in policies of survival rather than policies bent on each other's destruction. Because in any struggle against God's planet man will never be the victor after playing the adversary role for so long. Why build a wall separating America from Mexico now when nature's fury will force a great migration of Americans south to escape the fury of an evaporating eastern and western coastline? As more powerful nations lose massive amounts of coastlines due to the shrinking polar ice caps. Those nations that are more inland will, in turn, become more valuable as the world's peoples migrate to safer conditions. So, rather than racing away from the realities of a global environmental disaster as many Americans of all races are doing presently. Especially politicians who are ignoring the signs that are ever-present, like 50 inches of rain over a 24 hour period in a Hawaiian Island, or the raging forest fires in our western states, or the incredible once in a century floods now are once every month events. These events are no longer just America's problems these environmental disasters are occurring all over the globe. Famine, droughts, flooding, epic monstrous storms, fires are consuming lands and displacing populations across nations, borders are being erased because of the massive changes in our global environmental conditions. This black man, as well as every black person, should be concerned that our black communities aren't knowledgeable when it comes to the massive environmental changes that are on the cusp of occurring. You see a quarter of a century is a blink of an eye in terms of time elapsed by mankind. God isn't going save us from the damage done by man's need to consume the earth's resources to the detriment of a healthy thriving planet. I also don't see light speed travel to distant planets coming within the next quarter of a century. So, we must become cognizant of these environmental concerns. We have to ensure that our best and brightest get educated and then at the same time have those teachers educate the uneducated masses in our communities across this nation. Those in power will not allow the haves to be left behind in this struggle for survival against the future environmental conflicts ahead. So, we cannot allow the have-nots be displaced or eliminated by these same conflicts. We must become aware and informed because truly prayers alone will not protect us from the coming days. 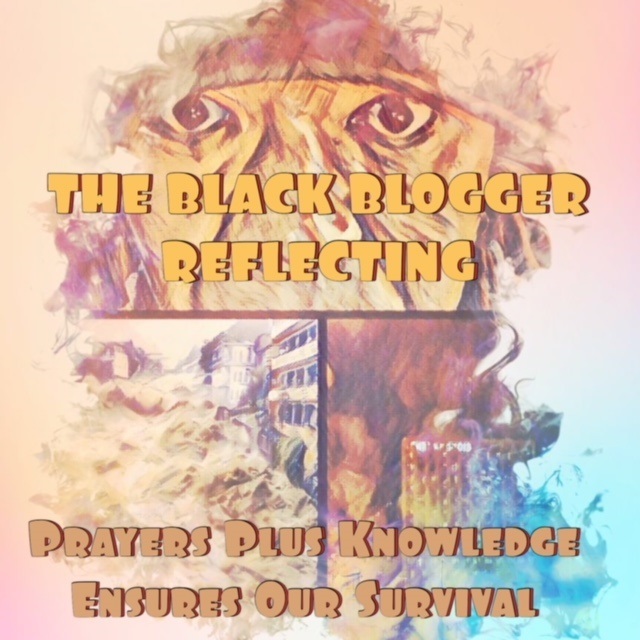 Prayer plus knowledge is the solution to solutions that will protect our peoples' survival.